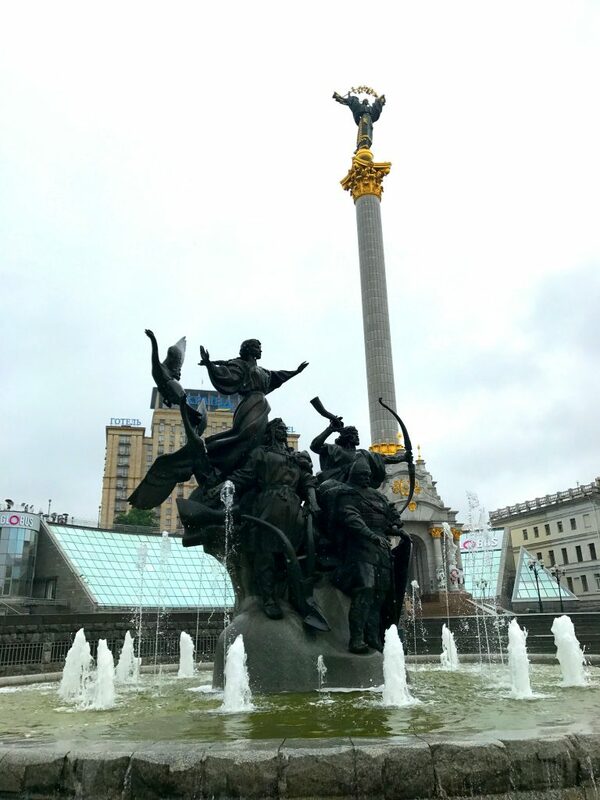 This golden-domed capital city of Ukraine is a beautiful and unique destination that I fell in love with. 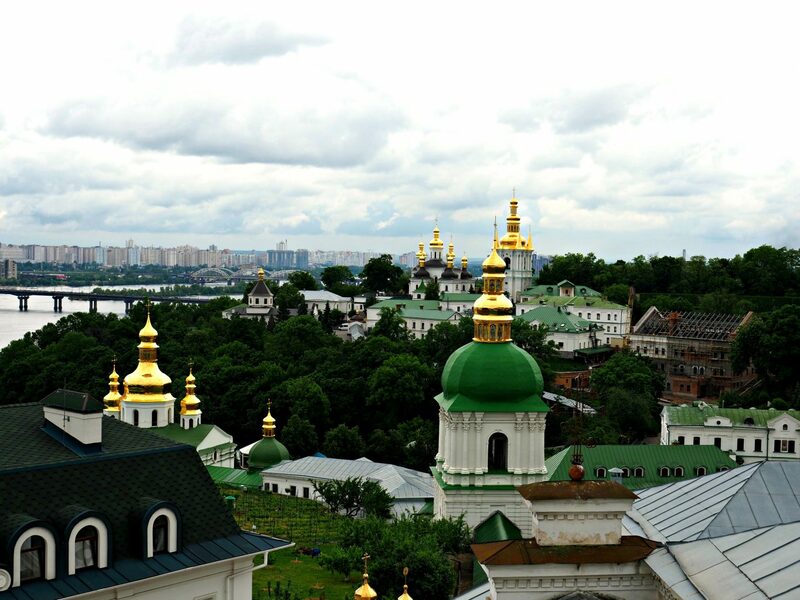 There’s a mixture of opulent architecture, preserved culture, delicious food, and a new wave of young hip Ukrainians ready to show the world their country that they are so proud of. 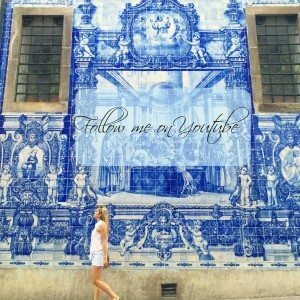 Along with my good friends over at Cobblestone Freeway Tours I was shown what all this city has to offer and here is what we recommend! 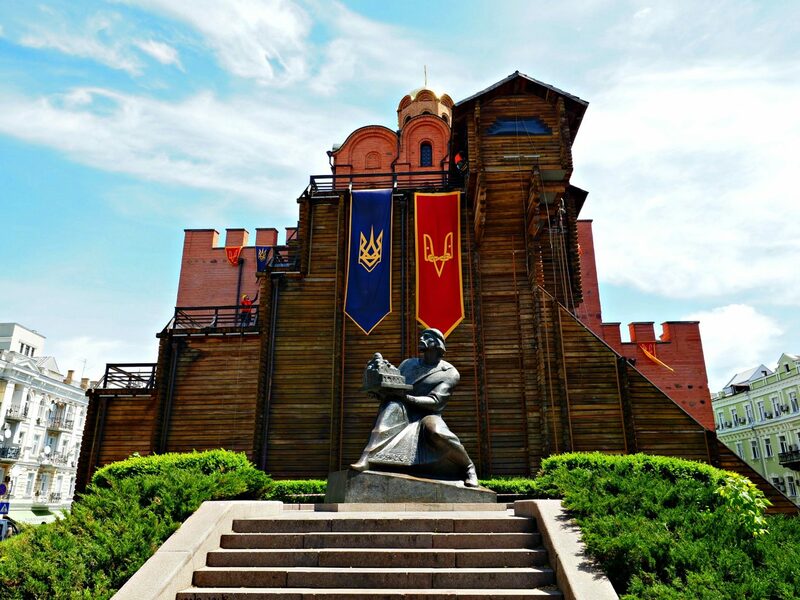 Walk around Maidan Nezalzhnosti (Independence Square)– As most people know this young country has had a turbulent past. This main central square is a huge part of Ukraine’s history. Walk around and see where it all happened. 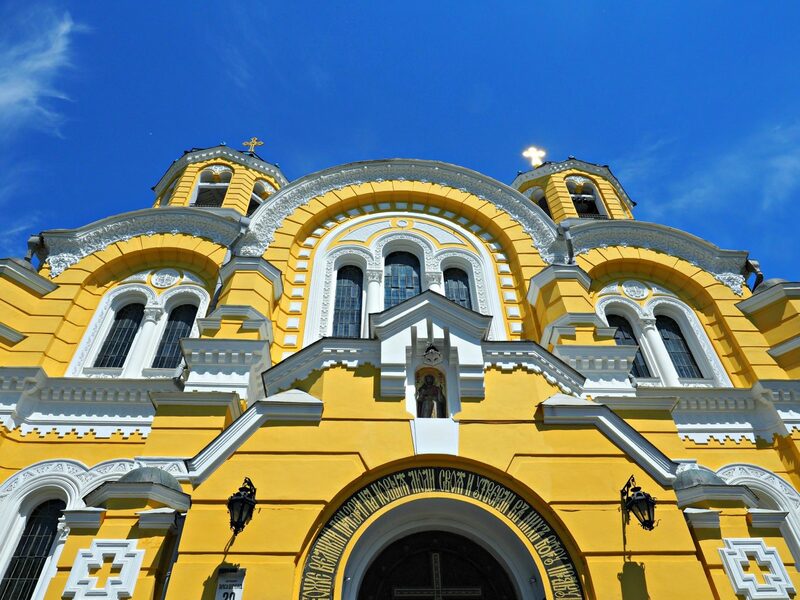 Take a stroll through St. Sophia’s Square and Cathedral. 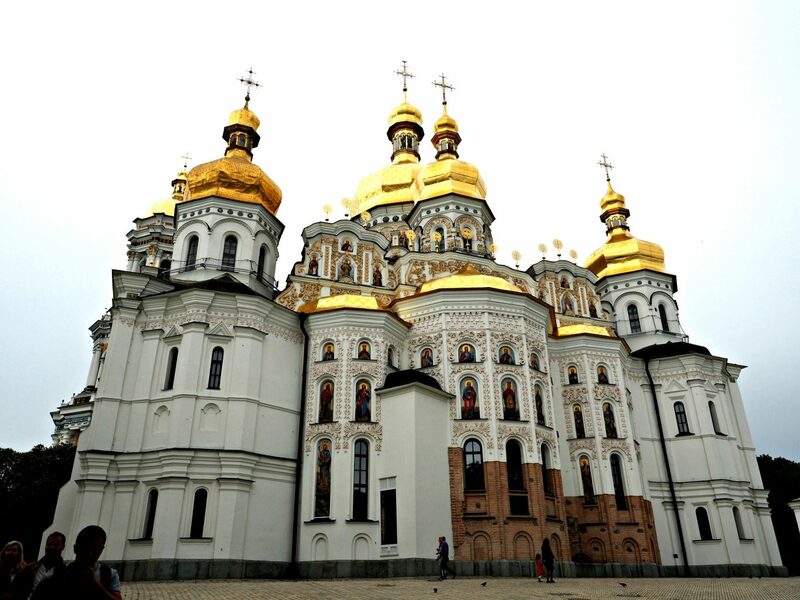 Make sure to look up to check out those beautiful golden domes and bell tower! 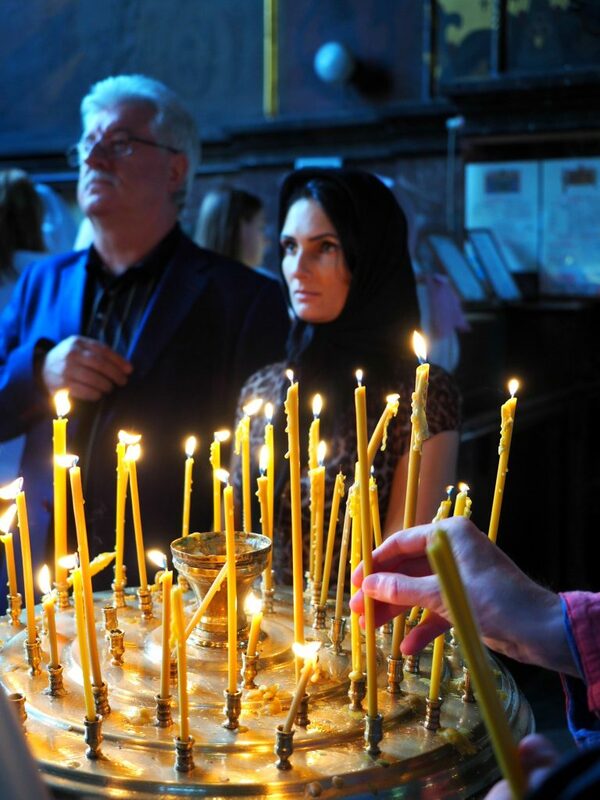 Go inside the iconic St Volodymyr’s Cathedral. 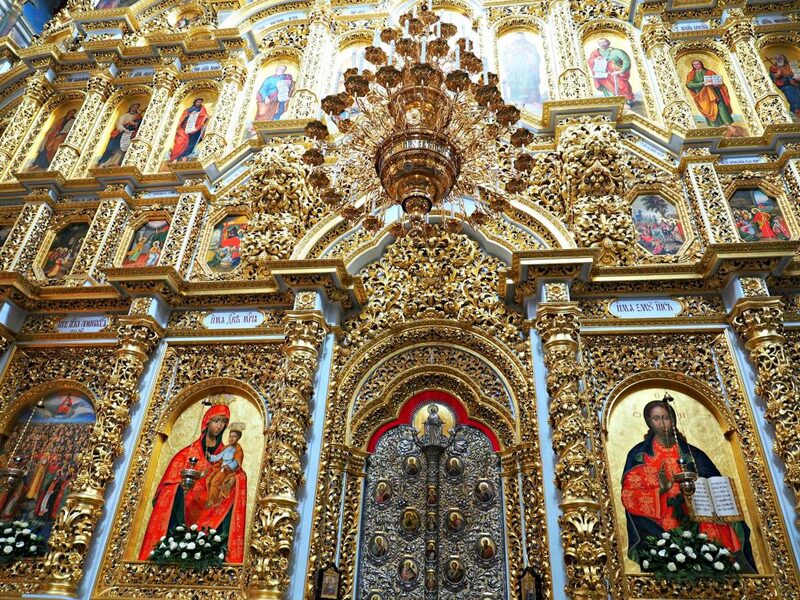 This beautiful landmark is the most famous Ukrainian Orthodox Church and for good reason. EAT EVERYTHING! 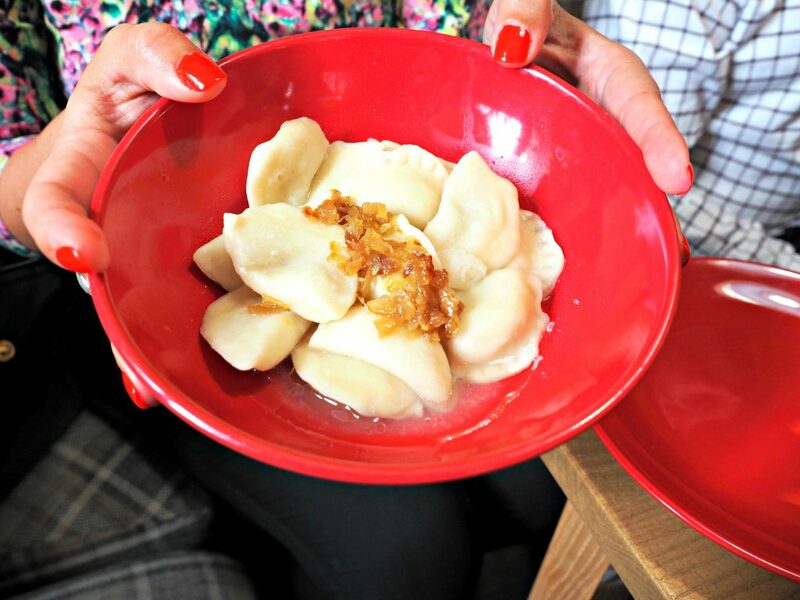 The food is surprisingly delicious and new fun restaurants are popping up constantly. You can read about it here. 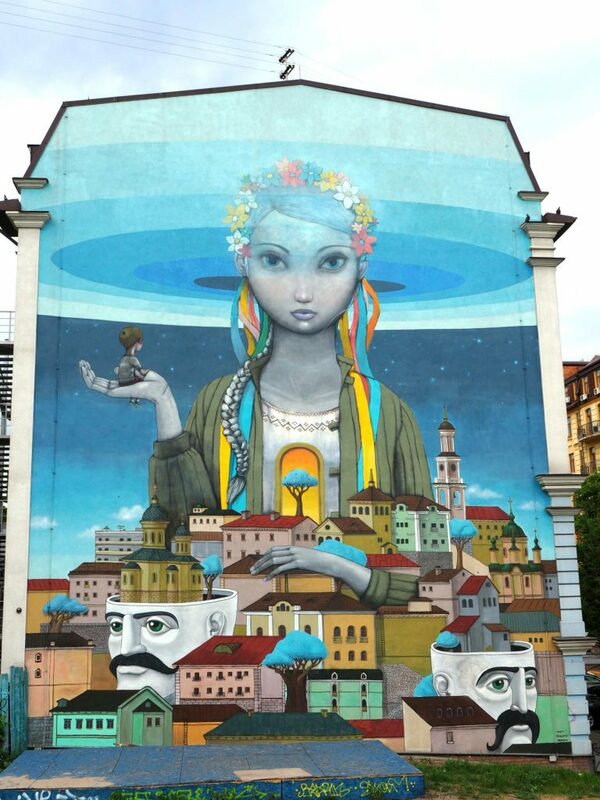 Check out the street art in Landscape Alley. 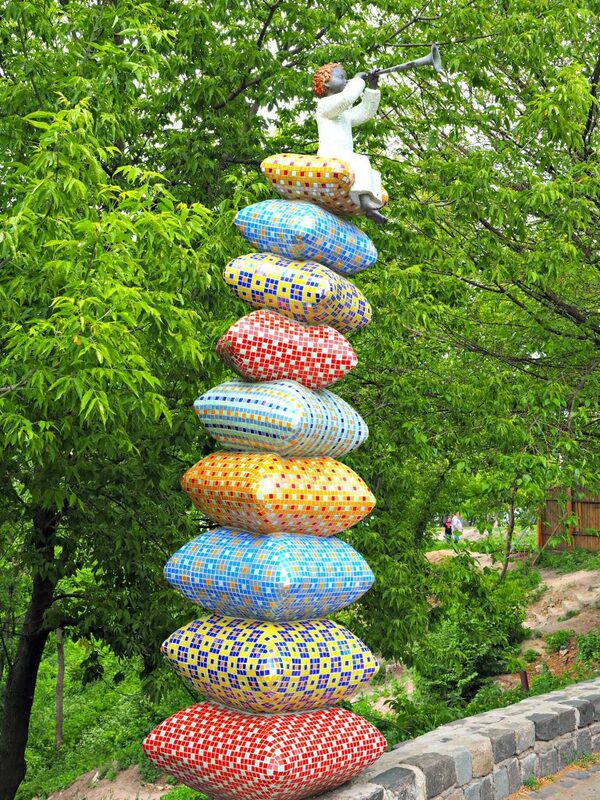 This vibrant park is home to all kinds of quirky street art and a great place to take a leisurely walk in. Go shopping on Andriyivskyy Descent. 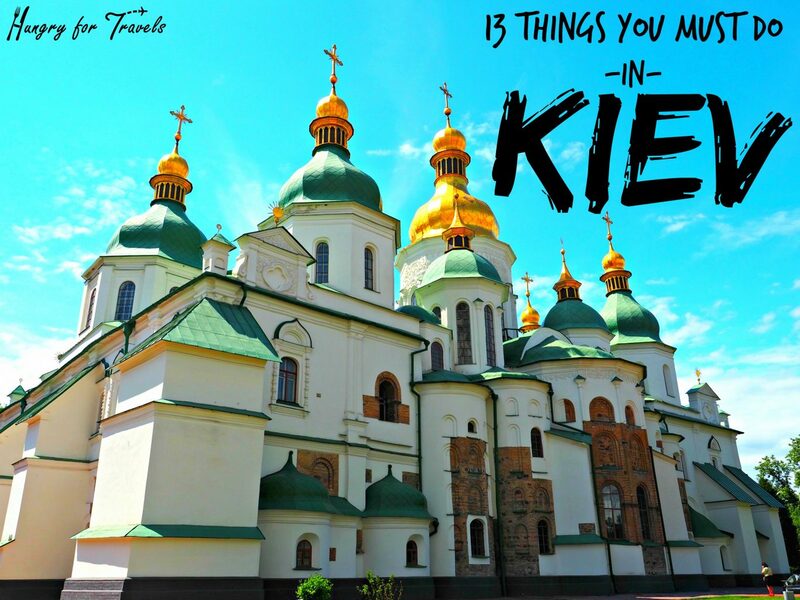 This historical area of Kiev is a fun area to shop for all kinds of goodies while gawking over the amazing architecture and cool street murals. 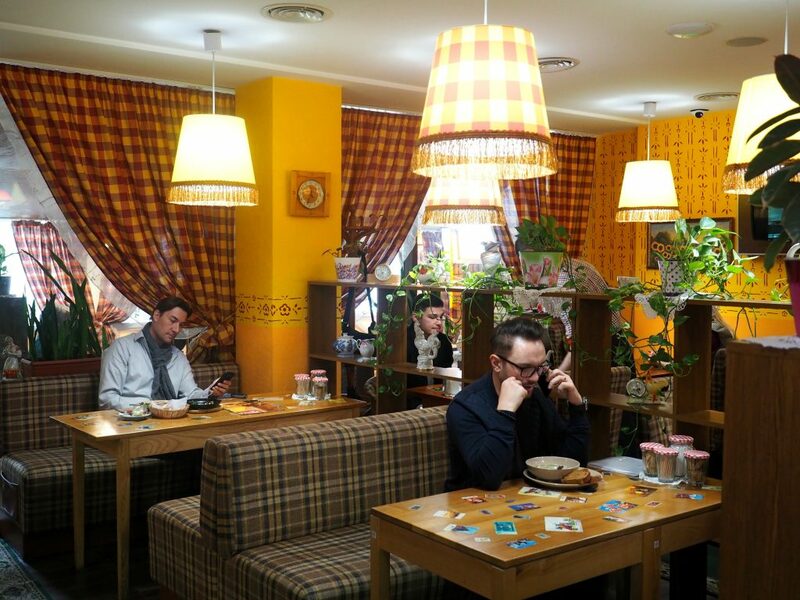 After walking around all day, stop in at Kachorovska Store & Cafe for a mid-day coffee and handmade shoes. 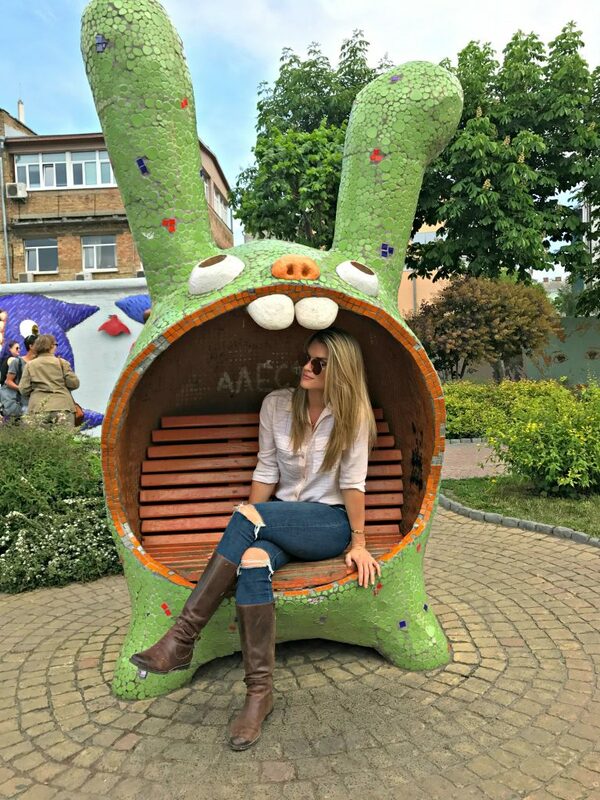 I was shown this incredible place by a local after we walked around Andriyivskyy Descent and I fell in love. 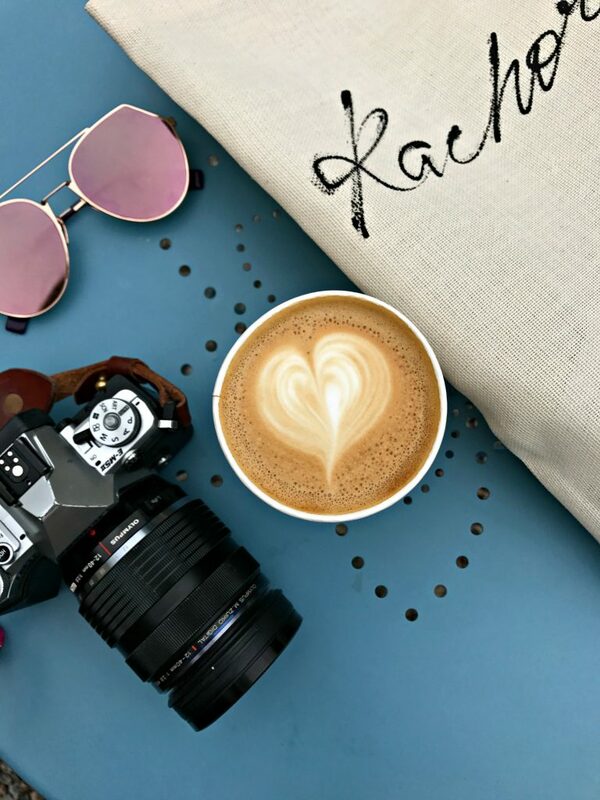 I had one of the best cups of coffee ever… and I bought handmade top quality shoes. I call that a win-win in my book. Make sure to check out all of the golden domes around the city. 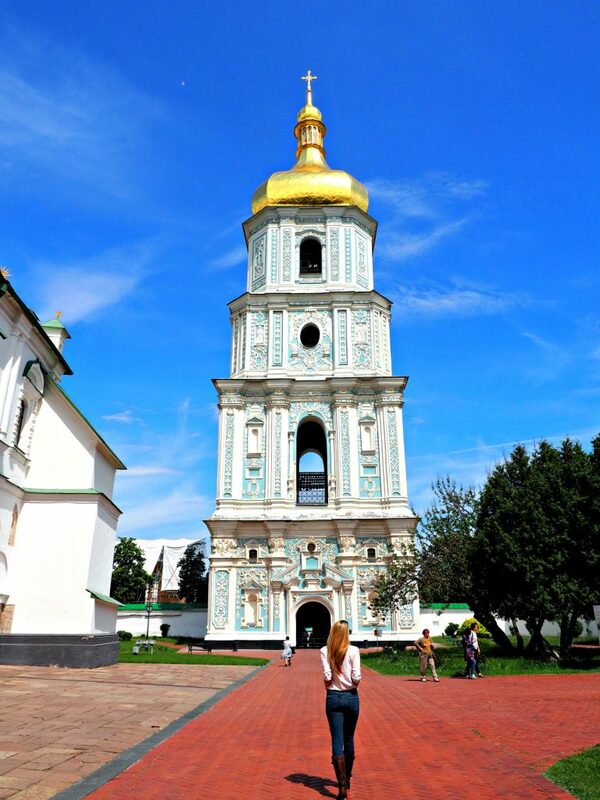 The golden domes are what Kiev is known for and walking around you will see why. 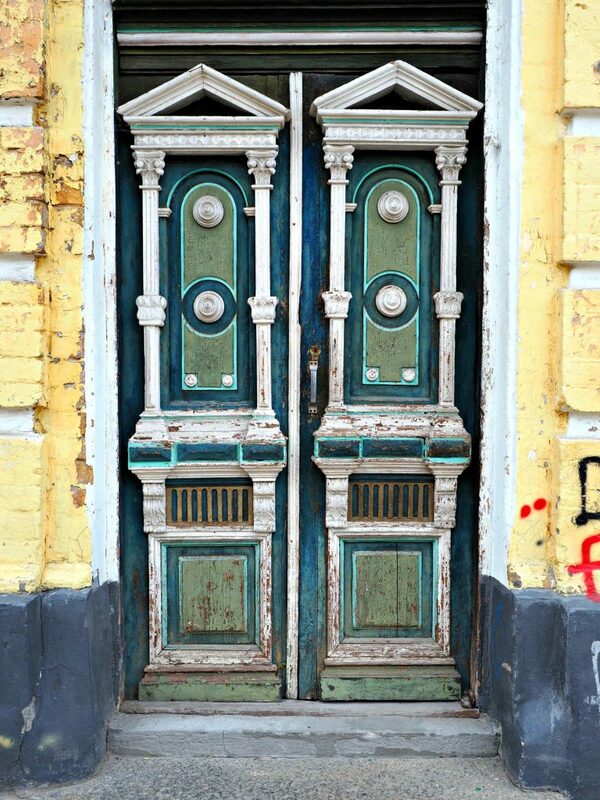 Check out the Golden Gates of Kiev. Formerly one of the three gateways into Kiev that was dismantled in Middle Ages but reconstructed by the Soviet authorities in 1982. Tour the caves under Pechersk Lavra. Tour the underground monastery founded in the early 11th century by monks. 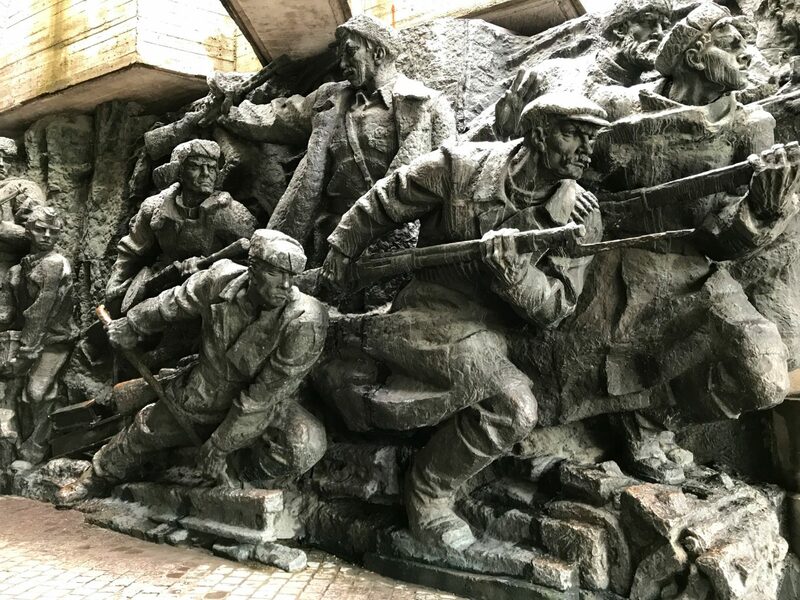 Go see the Motherland Monument and WW2 museum. 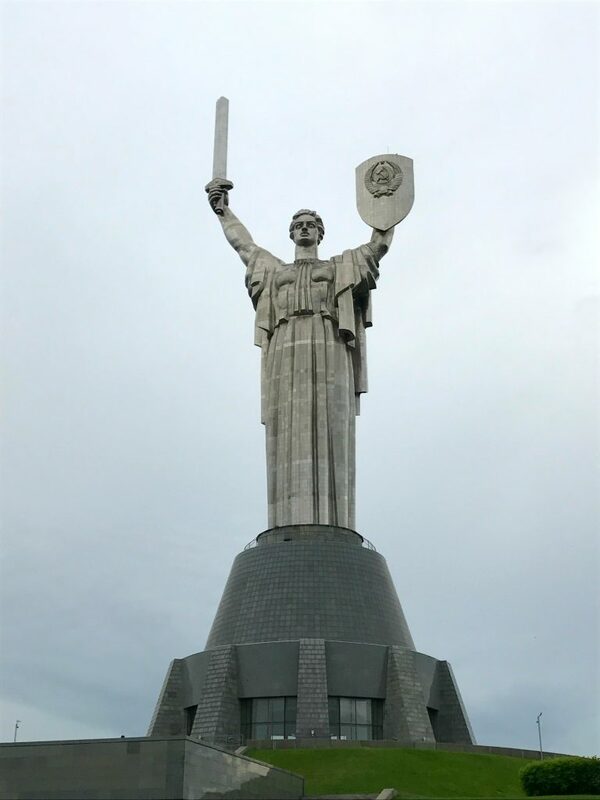 This large monument looks over Kiev and the WW2 museum. 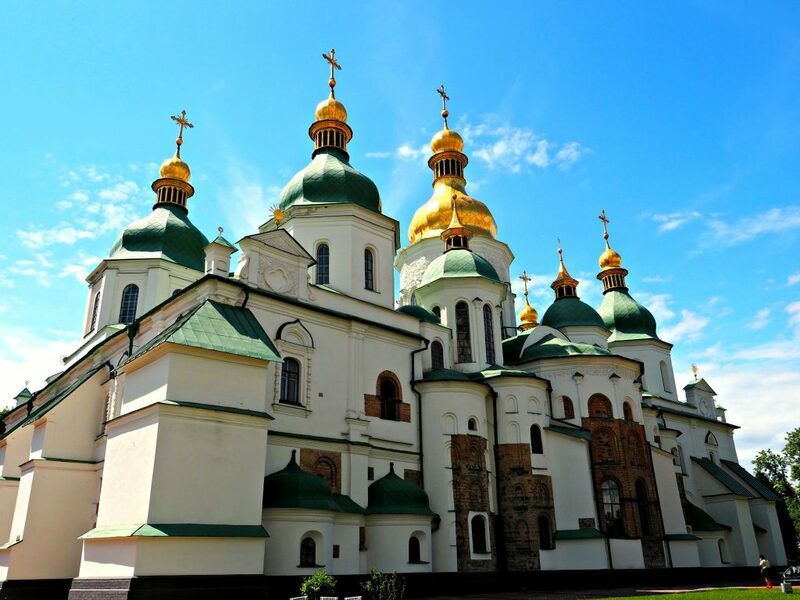 Walk around to learn about Ukraine during the second World War. You can also take an elevator up the monument for even better views. Gawk over St. Andrew’s Church. 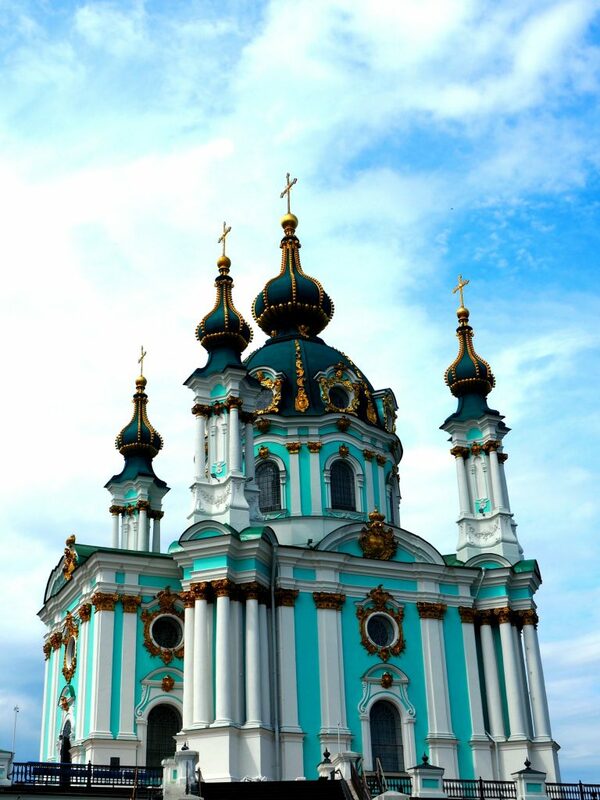 This incredibly beautiful blue 18th century baroque church sits atop a hill in a historic area of Kiev. Walk through Besarabsky Market. 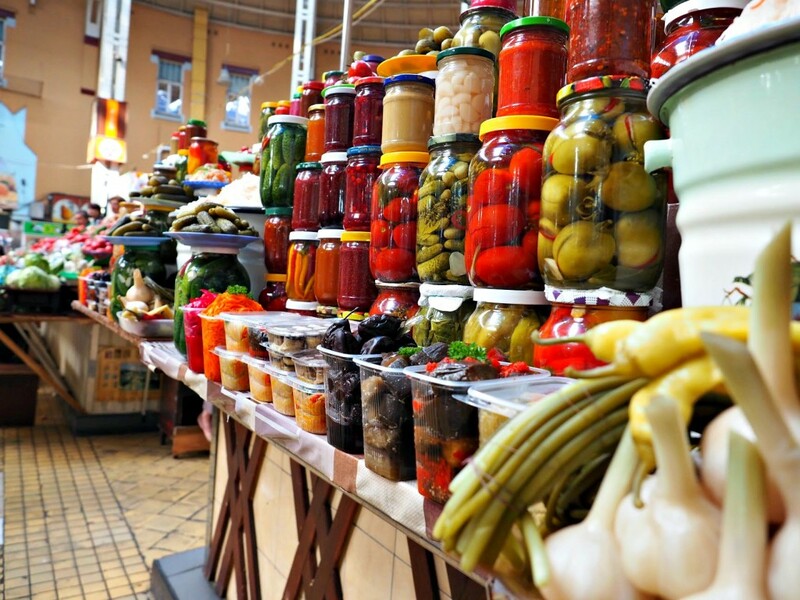 After walking though this bountiful food market you’ll see why Ukraine has the nickname ‘breadbasket of Europe’. Be careful… they will yell at you for taking pictures (I know from experience oops).